In 1973 an Italian submarine named Enrique Tazzoli was sold for a paltry id="mce_marker"00,000 as scrap metal. The submarine, given to the Italian Navy in 1953 was actually an incredible veteran of World War II service with a heritage that never should have passed so unnoticed into the graveyards of the metal recyclers. The U.S.S. Barb was a pioneer, paving the way for the first submarine launched missiles and flying a battle flag unlike that of any other ship. In addition to the Medal of Honor ribbon at the top of the flag identifying the heroism of its captain, Commander Eugene "Lucky" Fluckey, the bottom border of the flag bore the image of a Japanese locomotive. The U.S.S. Barb was indeed, the submarine that "SANK A TRAIN". It was after 4 A.M. and Commander Fluckey rubbed his eyes as he peered over the map spread before him. It was the twelfth war patrol of the Barb, the fifth under Commander Fluckey. He should have turned command over to another skipper after four patrols, but had managed to strike a deal with Admiral Lockwood to make one more trip with the men he cared for like a father, should his fourth patrol be successful. Of course, no one suspected when he had struck that deal prior to his fourth and what should have been his final war patrol on the Barb, that Commander Fluckey's success would be so great he would be awarded the Medal of Honor. Commander Fluckey smiled as he remembered that patrol. "Lucky" Fluckey they called him. On January 8Th the Barb had emerged victorious from a running two-hour night battle after sinking a large enemy ammunition ship. Two weeks later in Mamkwan Harbor he found the "mother-lode" ...more than 30 enemy ships. In only 5 fathoms (30 feet) of water his crew had unleashed the sub's forward torpedoes, then turned and fired four from the stern. As he pushed the Barb to the full limit of its speed through the dangerous waters in a daring withdrawal to the open sea, he recorded eight direct hits on six enemy ships. What could possibly be left for the Commander to accomplish who, just three months earlier had been in Washington , DC to receive the Medal of Honor? He smiled to himself as he looked again at the map showing the rail line that ran along the enemy coastline. Now his crew was buzzing excitedly about bagging a train. The rail line itself wouldn't be a problem. A shore patrol could go ashore under cover of darkness to plant the explosives...one of the sub's 55-pound scuttling charges. But this early morning Lucky Fluckey and his officers were puzzling over how they could blow not only the rails, but also one of the frequent trains that shuttled supplies to equip the Japanese war machine. But no matter how crazy the idea might have sounded, the Barb's skipper would not risk the lives of his men. Thus the problem... how to detonate the charge at the moment the train passed, without endangering the life of a shore party. PROBLEM? Solutions! If you don't look for them, you'll never find them. And even then, sometimes they arrive in the most unusual fashion. Cruising slowly beneath the surface to evade the enemy plane now circling overhead, the monotony is broken with an exciting new idea. Instead of having a crewman on shore to trigger explosives to blow both rail and a passing train, why not let the train BLOW ITSELF up. Billy Hatfield was excitedly explaining how he had cracked nuts on the railroad tracks as a kid, placing the nuts between two ties so the sagging of the rail under the weight of a train would break them open. "Just like cracking walnuts," he explained. "To complete the circuit (detonating the 55-pound charge) we hook in a micro switch ...between two ties. We don't set it off, the TRAIN does." Not only did Hatfield have the plan, he wanted to be part of the volunteer shore party. ...At least half of the men had to have been Boy Scouts, experienced in how to handle themselves in medical emergencies and in the woods. FINALLY, "Lucky" Fluckey would lead the saboteurs himself. When the names of the 8 selected sailors was announced it was greeted with a mixture of excitement and disappointment. Among the disappointed was Commander Fluckey who surrendered his opportunity at the insistence of his officers that "as commander he belonged with the Barb," coupled with the threat from one that "I swear I'll send a message to ComSubPac if you attempt this (joining the shore party himself)." Even a Japanese POW being held on the Barb wanted to go, promising not to try to escape. In the meantime, there would be no more harassment of Japanese shipping or shore operations by the Barb until the train mission had been accomplished. The crew would "lay low", prepare their equipment, train, and wait for the weather. Patience Bay was wearing thin the patience of Commander Fluckey and his innovative crew. Everything was ready. In the four days the saboteurs had anxiously watched the skies for cloud cover, the inventive crew of the Barb had built their micro switch. When the need was posed for a pick and shovel to bury the explosive charge and batteries, the Barb's engineers had cut up steel plates in the lower flats of an engine room, then bent and welded them to create the needed tools. The only things beyond their control were the weather....and time. Only five days remained in the Barb's patrol. Anxiously watching the skies, Commander Fluckey noticed plumes of cirrus clouds, then white stratus capping the mountain peaks ashore. A cloud cover was building to hide the three-quarters moon. This would be the night. The Barb had crept within 950 yards of the shoreline. If it was somehow seen from the shore it would probably be mistaken for a schooner or Japanese patrol boat. No one would suspect an American submarine so close to shore or in such shallow water. Slowly the small boats were lowered to the water and the 8 saboteurs began paddling toward the enemy beach. Twenty-five minutes later they pulled the boats ashore and walked on the surface of the Japanese homeland. Stumbling through noisy waist-high grasses, crossing a highway and then into a 4-foot drainage ditch, the saboteurs made their way to the railroad tracks. Three men were posted as guards, Markuson assigned to examine a nearby water tower. The Barb's auxiliary man climbed the ladder, then stopped in shock as he realized it was an enemy lookout tower....an OCCUPIED tower. Fortunately the Japanese sentry was peacefully sleeping and Markuson was able to quietly withdraw and warn his raiding party. The news from Markuson caused the men digging the placement for the explosive charge to continue their work more slowly and quietly. Twenty minutes later the holes had been dug and the explosives and batteries hidden beneath fresh soil. During planning for the mission the saboteurs had been told that, with the explosives in place, all would retreat a safe distance while Hatfield made the final connection. If the sailor who had once cracked walnuts on the railroad tracks slipped during this final, dangerous procedure, his would be the only life lost. On this night it was the only order the saboteurs refused to obey, all of them peering anxiously over Hatfield's shoulder to make sure he did it right. The men had come too far to be disappointed by a switch failure. Watching from the deck of the Barb, Commander Fluckey allowed himself a sigh of relief as he noticed the flashlight signal from the beach announcing the departure of the shore party. He had skillfully, and daringly, guided the Barb within 600 yards of the enemy beach. There was less than 6 feet of water beneath the sub's keel, but Fluckey wanted to be close in case trouble arose and a daring rescue of his saboteurs became necessary. The two boats carrying his saboteurs were only halfway back to the Barb when the sub's machine gunner yelled, "CAPTAIN! Another train coming up the tracks!" The Commander grabbed a megaphone and yelled through the night, "Paddle like the devil! ", knowing full well that they wouldn't reach the Barb before the train hit the micro switch. The darkness was shattered by brilliant light and the roar of the explosion. The boilers of the locomotive blew, shattered pieces of the engine blowing 200 feet into the air. Behind it the cars began to accordion into each other, bursting into flame and adding to the magnificent fireworks display. Five minutes later the saboteurs were lifted to the deck by their exuberant comrades as the Barb turned to slip back to safer waters. Moving at only two knots, it would be a while before the Barb was into waters deep enough to allow it to submerge. It was a moment to savor, the culmination of teamwork, ingenuity and daring by the Commander and all his crew. "Lucky" Fluckey's voice came over the intercom. "All hands below deck not absolutely needed to maneuver the ship have permission to come topside." He didn't have to repeat the invitation. Hatches sprang open as the proud sailors of the Barb gathered on her decks to proudly watch the distant fireworks display. The Barb had "sunk" a Japanese TRAIN! On August 2, 1945 the Barb arrived at Midway, her twelfth war patrol concluded. Meanwhile United States military commanders had pondered the prospect of an armed assault on the Japanese homeland. Military tacticians estimated such an invasion would cost more than a million American casualties. Instead of such a costly armed offensive to end the war, on August 6Th the B-29 bomber Enola Gay dropped a single atomic bomb on the city of Hiroshima , Japan . A second such bomb, unleashed 4 days later on Nagasaki , Japan , caused Japan to agree to surrender terms on August 15Th. On September 2, 1945 in Tokyo Harbor the documents ending the war in the Pacific were signed. Footnote: Eugene Bennett Fluckey retired from the Navy as a Rear Admiral, and wears in addition to his Medal of Honor, FOUR Navy Crosses...a record of awards unmatched by any living American. In 1992 his own history of the U.S.S. Barb was published in the award winning book, THUNDER BELOW. Over the past several years proceeds from the sale of this exciting book have been used by Admiral Fluckey to provide free reunions for the men who served him aboard the Barb, and their wives.  PS: The Admiral graduated from the US Naval Academy in 1935 and lived to age 93, passing on in 2007. One morning in early 1945 the Pacific Fleet Amphibious Force commenced its sortie from Saipan toward the Japanese island known as Iwo Jima. As a staff officer to the Commander I was on the flag bridge. I noted Admiral Richmond Kelly Turner and a man dressed in khaki but without any insignia come out of the door of the flag quarters. I recognized the stranger as James Forrestal, the Secretary of the Navy. Admiral Turner, always most gentlemanly, beckoned me to come over. “Mr. Secretary, this is my Air Officer, Commander Keats.” I saluted, the Secretary put out his hand, and we shook. Just then a very large plane passed almost overhead at about two thousand feet and in a glide. The Secretary pointed to the plane. “What is he doing?” he demanded of me. I recognized the plane as one of the Army’s newest bombers but that is all I knew about it and I had no inkling of its mission. I was on the distribution list for the Navy’s decodes of Japanese military messages so I was generally aware of the activities of the Japanese Air Force. But the Navy did not have a key to the Army’s code. I was better informed of Japanese air operations than those of the U. S. Army. The Secretary accepted my story by nodding and saying, “Ah so.” Admiral Turner looked at me with an understanding smile.